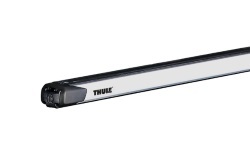 Thule offer a choice of roof bars for the majority of Thule roof rack systems available. 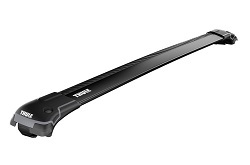 Full information about each type of roof bars can be found below. 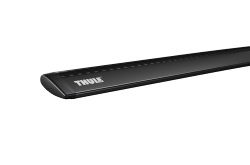 Thule offer the best roof bars in terms of strength, durability, aerodynamics and modern smart designs. Premium roof bars using the latest TrailEdge aerodynamic design with Wind Diffuser technology for a quiet ride. 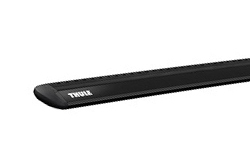 Features a T-Track slot for fast mounting of roof rack accessories. Black version of the standard aluminium Wing Bars. 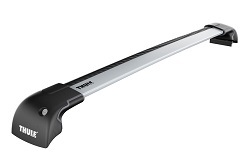 The Thule Slide Bars slide out on either side of the vehicle by 60cm. 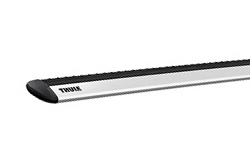 This makes loading items onto the roof rack much easier and protects your car from scratches from clothing/belts/cargo. Heavy duty bars with a high load rating, designed for commercial vans and vehicles.  Features a tri-slot design for easy attachment of accessories. A low-profile roof rack system for vehicles with raised roof rails. Lightweight aluminium bars with t-track mounting for fast easy mounting of carriers. Aerodynamic design for minimal noise whilst travelling. 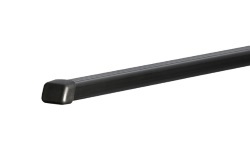 Black version of the standard aluminium WingBar Edge for Raised Railings. 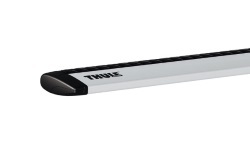 Black version of the standard aluminium WingBar Edge for Flush Rails & Fixpoints.